We value our clients' experience at Country Lane Veterinary. If your pet or animal is currently a patient, please feel free to complete the following Client Experience Questionnaire. The Questionnaire is in Adobe Acrobat format, and requires the free Acrobat Reader to view. If you have had a positive experience here at Country Lane, please take a few moments to leave us a review on Google. You can do this by searching "Country Lane Veterinary Services" on Google and by choosing to add a review. Thank you! "It took me a few days to post this. My family and I have been regular clients of Dr McKenna and staff for many years now. We've always loved bringing our fur babies here, knowing they would be treated just as well as if it were us caring for them. Us, and our fur babies feel as though we have an extended family every time we walk through those doors. Especially when greeted with huge hugs from Miss Iva, and smiles (and of course much love and pettings for the babies)" from Carie, Angel and the rest of the staff. This last week, we had to make the difficult decision of laying our beloved old man, Jet to rest. After clearing out a whole room for us, they gave us as much time as we needed to say goodbye. Then came the lovely sympathy card with the precious print of Jet's front paw. Thank you Country Lane Vet for all the support and care for the countless years, and for knowing just how much a small gesture can mean at such a difficult time!!!!" "George McKenna was my vet years ago when I first got my momma cat Kiki. Being a little father away I looked closer to home when I got a couple dogs. I was not happy with them so I moved on..not happy with them either..So I took the extra time driving and went back to Country Lane Vet. People ...listen if you live in Albion, Holley or Brockport area and looking for a good and honest vet...You really need to give them a call. The staff are so friendly and helpful. I had to put 2 cats down..I loved very much..they gave comforting words to me and made that time for me easier to bear. Yesterday I got my dog(Trigger ) neutered. He is home healing and doing well. I had his blood work done so I knew there would be no hidden illness etc. He was in pain. Didn't walk much. It is almost 9 am and he just got comfortable on his spot of the big chair. Thank you Country Lane Veterinary for bringing me back as a customer and also for all your TLC FOR MY PETS...Thank you George." "I was looking for a new vet, since I have an old man (15 year old boxer) and a mid age shepard mix. We needed one that would be closer, easier in and out appointments and super friendly... This office has all that and then some. Dr McKenna is super knowledgeable and each of the staff are too! I am glad to have found an awesome veterinary office that's not too far from home!" "My heartfelt thanks to Dr. Mckenna and his staff for the care and compassion shown me during my recent decision to lay my Nikko to rest. It was not an easy decision to make but with your help, the process was made a little easier. You made sure the process was painless for the both of us and that I had all the time I needed to say goodbye. I cannot thank you enough for everything you have done for me and Nikko in his 14 1/2 years with us. Thank you so much again and I will be seeing you all sometime in the near future." "We had an extremely unfortunate situation with a family dog. Brought her in to Country Lane and it was determined she should be assisted in being laid to rest. Such a horrible experience to have to go through. Everyone at Country Lane made the experience bearable and painless (for her). I'm so thankful to the staff for their kind words, hugs, and dedication to making sure animals are living a quality life. And if they're not, assisting them to peace. Thanks again to you all. ♡♡"
"I always brought all mt pets to George McKenna.He has always been kind and caring for all the animals that need his attention. Even in an emergency someone or George himself would return a call within half hour and if need have the animal be brought in to be seen during closed hours. 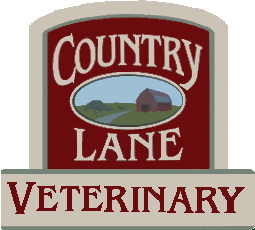 My children whom are now grown also use Country Lane Veterinary Services. I would not trust any other person to care for my animals unless George McKenna had recommended them." "Amazing services, staff was beyond friendly and very helpful. Wouldn't choice any other vet to care for my puppy"
"Absolutely the best! We are very lucky to have a Vet the calibre of Dr. McKenna and his staff." "For the last 18+ years I have been taking my dogs to Country Lane Veterinary Services, as well as my large animals. Dr. McKenna, his family, and his staff have been the best! I would recommend them to anyone."" "My dog was in a lot of pain. The staff at country lane were great and prompt when it came to recommending proper medication and they provided excellent treatment options. I’d recommend them to anyone who cares about their pets! These guys/gals are the “good ones”!" "We have been going to Country Lane for the past twenty years with our retired racing greyhounds. They have helped us through the good times and the sad times. They are really great people and really do a great job!" "I have a “few” pets and I take them to Country Lane Veterinary Services. They always try to accommodate around my schedule. Dr. McKenna lets me know what is wrong and also what is the best treatment and options are without doing unnecessary procedures and extra expenses. The staff is very friendly and go beyond!" "We recently moved to the area and we feel so comfortable coming to Country Lane! We have a pug who we call our “first born” – the staff here is so kind and helpful and make Mr. Smudge feel very special!" "My husband and I travel 45 minutes to take our dogs to Country Lane Vet. We love the great care Dr. McKenna and his fantastic staff give to our pugs, Chloe & Lucy. Everyone is always friendly and very good with our girls!" "Country Lane Veterinary Services has been incredible with my high needs dog! They know she's my baby and treat her beautifully. She has had a blood disorder for 5 years that requires constant maintenance, ever changing medications, and frequent emergencies and they always do a wonderful job treating her and are super supportive whenever we need help. Dr. McKenna has done a ton of problem solving & research to make sure Bella's treatment is the best. If it weren't for him, I am sure we would have lost her years ago. They're so great that even though I moved to Rochester, I refuse to take my girl anywhere else An added bonus is Carie... She is phenomenal at everything she does, is incredibly helpful, and always brightens my day!"